A Jet2 flight to Tenerife had to be diverted because there was no water on board for tea and coffee. Flight LS155 departed from Glasgow at 8:55 am yesterday and flew over Western Ireland when it had to be removed due to plumbing problems. It landed at Manchester Airport at 10 am, just over an hour after departure, reported the Daily Record. A spokesperson for the airline confirmed that there were water problems on board, which also meant that the toilets were out of use. Passengers were "well cared for", according to the spokesman, and then transferred to another flight to Tenerife. Holidaymakers took social media to vent their frustration. Apart from that, a jet from Rotterdam with destination Gatwick had to move to Manchester due to strong winds. 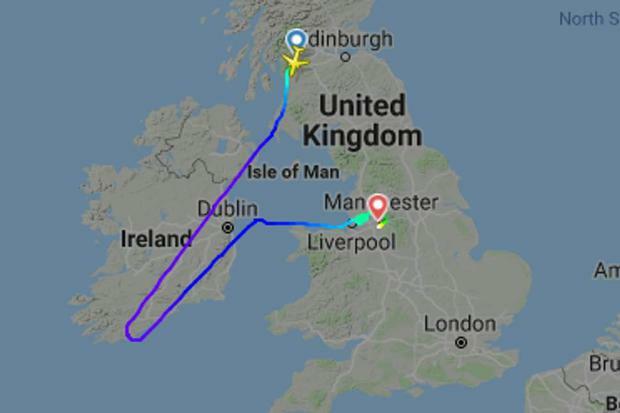 Flight EK15 from Dubai had to land at Gatwick on the 8th of February at 11.40 am, but arrived in Manchester an hour later because of Storm Erik. On February 8, a British Airways flight had to demolish a landing at Heathrow due to Storm Erik winds reaching 70 mph.